Marketing your product to a wide audience is a real challenge for many businesses. Acquisition costs can be high and effective optimization of approach requires bucketloads of data. 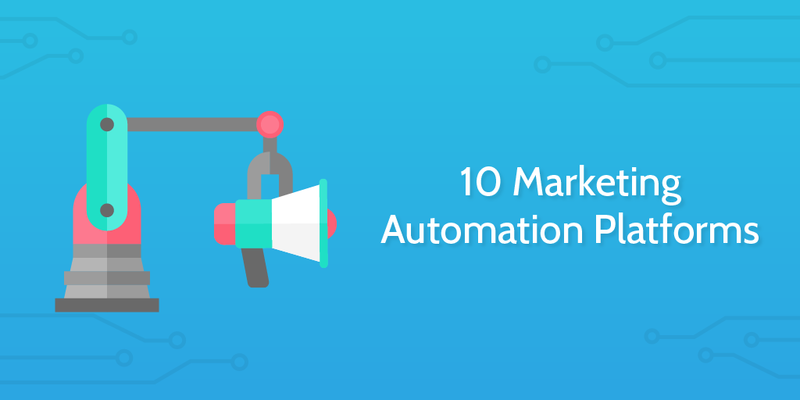 According to research from Aberdeen Group, users of marketing automation software are 17 times more likely to track all their data than those who don’t employ these platforms. This drives improvement and is one of the primary reasons that users of marketing automation decrease customer acquisition costs year on year at over twice the rate of their competition. Modern marketing methods mean that multiple in-depth campaigns can be run without all the unnecessary administration and time-consuming efforts of the past. There are many automation tools to choose from on the market and in this article we’ll run through 10 of the best, giving you a breakdown of what each offers. Thanks to a piece of McKinsey research entitled Four Fundamentals of Workplace Automation in 2015, we know the kind of benefits automation can bring in marketing departments. Chui, Manyika, and Miremadi, the authors of the study, estimated that the average marketing executive could save 10-15% of their current working time by employing readily available automation tools. Given that we are now in 2017, the improvement of available automation software suggests that this figure would now be even higher! 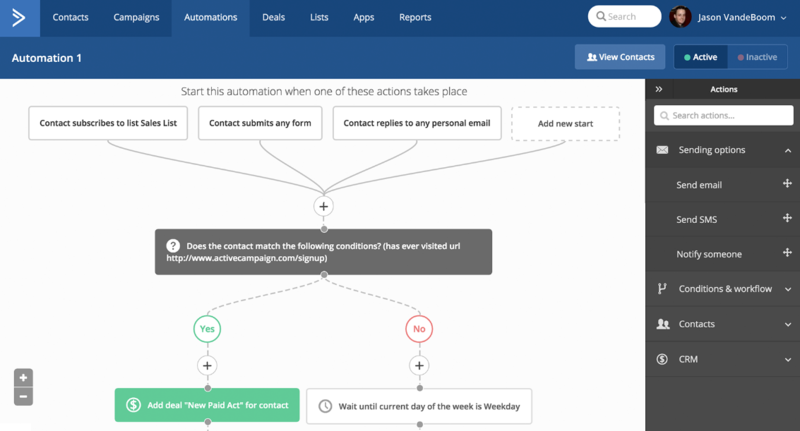 The marketing automation tools currently available focus on automating repetitive tasks. This might be setting up complex email campaigns, managing online advertising, or automating social media publications. Of the tools we’ll be focusing on, we’re looking for all-in-one packages. Platforms which perform a wealth of different tasks related to marketing and can act as a CRM tool get extra points in this article. Having fewer tools to jump in and out of benefits the end user by reducing interruptions and focusing the user on the task at hand. We’ll look at the tools available for assisting in increasing the available automations. Tools like Zapier, the third party automation software, can be used to integrate your marketing CRM with the existing tools you use. Many of these tools can be integrated with Process Street, for example, via Zapier, allowing you to follow your processes and trigger pre-set actions in your CRM from your Process Street checklists. If you’re an e-commerce SME then Infusionsoft is a great option to help push your sales forward. Infusionsoft helps you gather leads, qualify those leads, and turn them into customers, all through the power of inbound marketing. Infusionsoft integrates with Zapier and also has over 20 native integrations with other platforms. It has a long-standing presence in the marketing sphere, with over 15 years of experience in doing what it does. You can automate campaigns in great detail, segmenting users depending on what they clicked on to become a subscriber and further segmenting them depending on how they interact with previous emails. The drag and drop functionality of the campaign builder means Infusionsoft is a user-friendly tool which doesn’t require specialist knowledge, yet packs a punch in its functionality. Infusionsoft starts at $199 a month for the basic package. Its e-commerce features require a more expensive package and are the key features which justify the price. 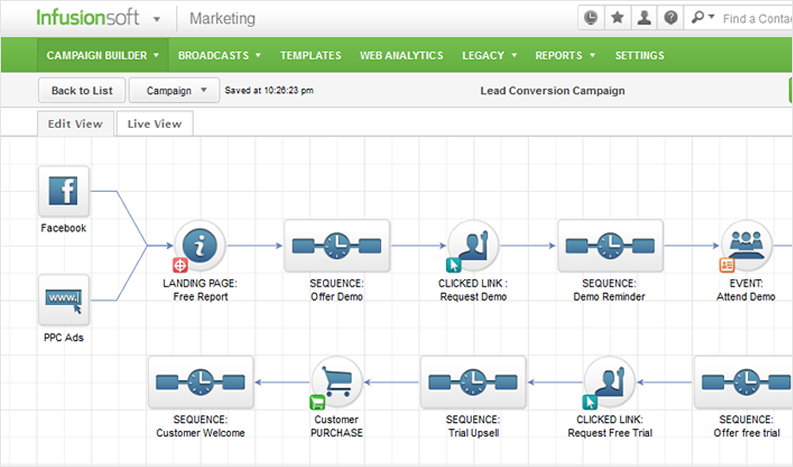 A similar package to what Infusionsoft provides, ActiveCampaign is ideal for email marketers who want to automate customer journeys. The email template builder offers a wide range of preset options to modify plus a simple way to craft one from scratch. 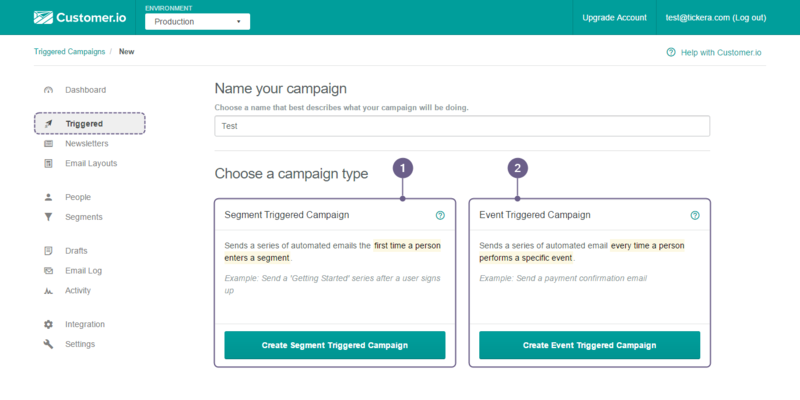 The email journey builder allows you to customize the nature of the campaign and segment users again and again and again. 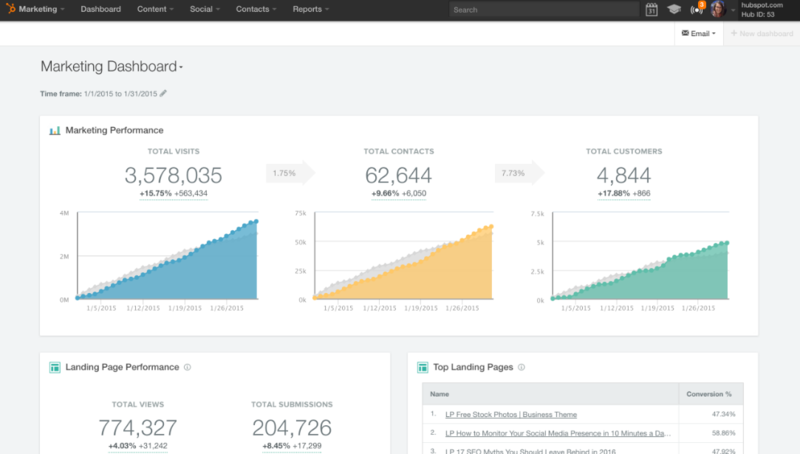 The email journey builder is more easy on the eye than Infusionsoft and is very intuitive. ActiveCampaign doesn’t have the same depth of features in regards to integrating with e-commerce functionalities, but its focus on email campaigns and audience building are what makes it shine. ActiveCampaign starts at $9 a month for companies with less than 500 contacts which makes it a great resource for startups and other growing ventures. One of the biggest names on the market, HubSpot is known not just for its marketing automation but also its sales work too. As all-in-one packages go, HubSpot takes some beating. HubSpot is one of the primary tools for inbound marketing as it presents the ability to capture leads, qualify leads, and maintain customer relationships with a full suite of tools. HubSpot provides a variety of features which can help you with SEO and content marketing as well as the email campaign features offered by ActiveCampaign above. HubSpot lets you define your workflows, allowing you to automate them and reduce the time you need to spend on the platform. It aims itself at all areas of the market, providing value to companies from small startups to vast multinationals. However, it doesn’t come cheap starting at $200 a month with a $600 onboarding fee. Probably worth the outlay, though. If we’re going to mention HubSpot, then we should be mentioning Marketo too. Marketo is another big name within the field and has over a decade of experience enhancing marketing departments the world over. Where Marketo dazzle is in their range of lead nurturing and lead generation software. One of the success stories, Algonquin College, reported increasing lead generation 71% year on year and seeing sales rise by 18%. Marketo feels sleek and light when using it, but has a very powerful engine under the hood. Also, protip, check out the content they produce. You can learn a hell of a lot from spending time on their blog. If you want to know pricing, you’ll need to contact them to discuss your needs. However, we do know that the basic version will likely set you back between $1,000 and $2,000 a month if you have less than 10,000 subscribers. A good option for a midsize company with solid revenues. This one is my wildcard inclusion. RokoMobi is a marketing all-in-one tool for companies with a mobile application. It gathers data on how your customers interact with the app and provides you with tools to help manage that relationship. Being mobile-first, it isn’t as focused on email campaigns and content-driven lead captures, rather with in-app notifications and referral incentives. It provides deep insights into acquisition data while also enabling real-time chat with customers in the app, meaning you can improve your onboarding and your engagement. You need to have some technical knowledge to set this up of course, as it needs embedding into the code of the app. However, RokoMobi claims that their integration takes less than a day. It has a freemium pricing plan which bumps up to $250 a month when you have between 10,000 and 25,000 active monthly users or more than 1.5 million “events”. Ideal for startups, and hopefully we’ll see a Zapier integration in the future. 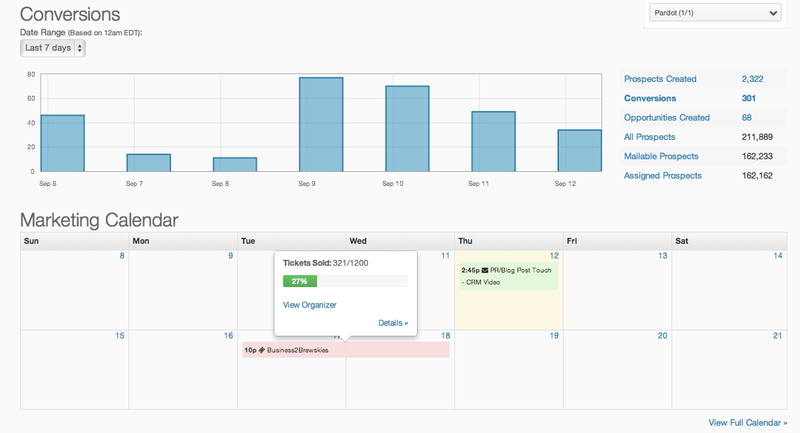 Eloqua is the marketing automation platform offered by Oracle and is one of the most comprehensive tools on the market. Probably most similar to Marketo of the tools mentioned so far, Eloqua is enterprise software rather than startup level. It has a lot of power but also lacks a little in terms of simplicity and ease of use. Eloqua combats this through a very customer oriented approach to support. When you become an Eloqua user, you get the chance to have coaching and guides which introduce you to the software and teach you how to make the most out of it. Provided you take this opportunity seriously, you’ll find Eloqua has a lot to offer. The pricing starts at $2,000 a month, so this is definitely more of a corporate option than the others. SendPulse might be a new player on the field but it sure does what it is supposed to. This email marketing platform, among many other features, offers their Automation 360 for paid plan users. Automation 360 is a tool designed to send automated emails, SMS or web push notifications triggered by your customers’ specific actions, be it a registration, purchase or an abandoned cart in your online shop. Create your own event and your messages will be sent when this event is triggered. With the built-in drag and drop editor, the process does not seem like rocket science. SendPulse has integrations with online services like Zapier, WordPress and many others. When it comes to pricing, things get really interesting as SendPulse offers a forever free plan for up to 2,500 subscribers or 15,000 emails per month. With a paid plan, you’ll spend $10 for up to 3,000 subscribers or $32 for 10,000 emails. More of a newcomer than some of the established tools we’ve mentioned so far, Customer.io offers an interesting package for companies. The design is nice and lightweight and the necessary features and functionality are present. In some senses, Customer.io provides a simple alternative to the bigger boys with a freemium option and a $75 a month starting price. Nothing too showy; does the simple things well. However, where Customer.io shines is its customization. If you’re a technical team and you’re willing to put some development resources into crafting a marketing CRM which suits your specific needs, then Customer.io might be the best tool available to you. You can make all sorts of changes and configurations to tailor the software to your use cases. You can also connect Customer.io up with Zapier by using webhooks. Yes, I know. These are two separate tools, so this list is more of a top 11. Salesforce purchased ExactTarget and Pardot and for that reason, I’m putting them together. Marketing Cloud, formerly ExactTarget, works the B2C angle while Pardot’s focus is more on the B2B. Like Eloqua, these are more corporate oriented tools with pricing given upon speaking with one of their sales reps. The particularly interesting feature given is the number of channels a customer can be contacted through. Like RokoMobi, you can contact your customers through in-app notifications as well as the traditional routes like email. Astoundingly, you could also use their package to contact your customers through their car’s dashboard if you were an auto manufacturer, for instance. Pretty fancy, no? Integration with Zapier is also offered through Pardot, and the range of automation possibilities for users are astonishingly high. Salesforce has some general zaps which you could use to keep things automated too. 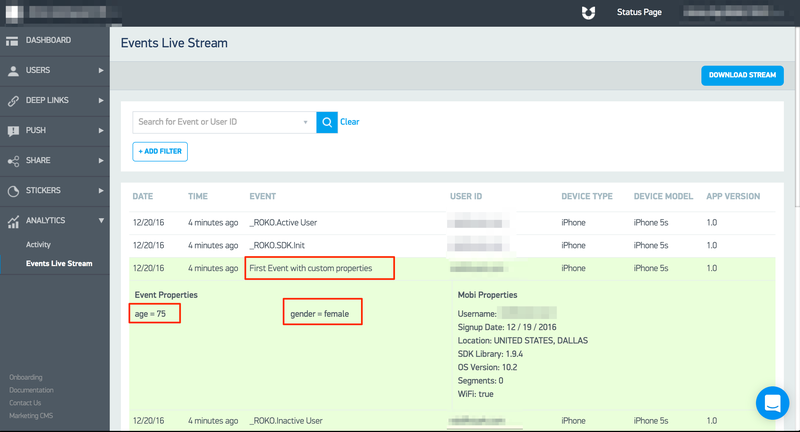 Another relatively new tool on the market, Userfox provided a similar option to Customer.io. They’ve since been acquired and integrated by AdRoll, which has broadened their capabilities and suggests they’ll continue to grow. AdRoll has a very lightweight interface and it makes for a simple to use piece of kit. 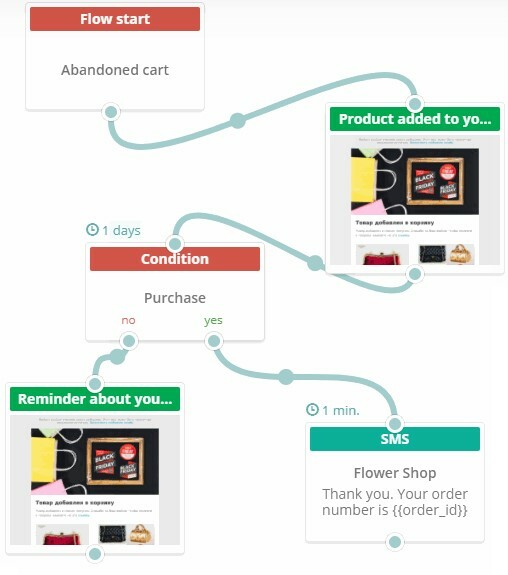 It can be used to trigger emails based on events and lets you map out your customers’ journeys. Alongside the kind of functionalities offered by other similar tools, AdRoll also provides the ability to set up transactional emails to perform heavy lifting for larger organizations. With the connection to AdRoll’s initial core product, the biggest selling point they offer is their retargeting services. Their pricing starts at $100 a month for the AdRoll/Userfox services. In comparison with a similar platform like ActiveCampaign, however, the options for email templates and building tools are limited. If you’re an existing AdRoll user, then the Userfox additions may have proved to be useful for your company. Here are a few AdRoll zaps to get you started. Lastly, we have the customer support service Intercom. Their primary use case is to increase communication with customers, and they’re very good at what they do. We employ Intercom here at Process Street to manage our customer support. 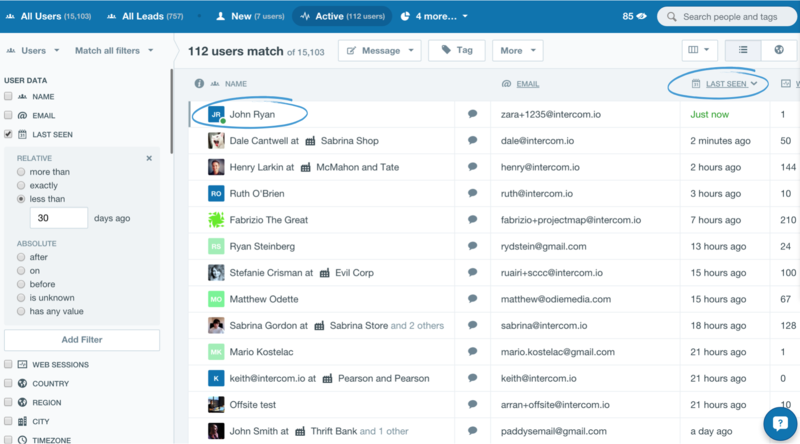 Intercom has recently pushed out a further range of features for engaging with customers. With the ability to engage in live chat with people visiting your website and features which can significantly increase both user engagement and re-engagement, Intercom deserves to be on this list. “We’ve onboarded 40,000 customers with Intercom. Messaging through email and contextually inside the app has dramatically changed how we engage new users”. Pricing starts at $53 per month for 250 users on the lite version, with Zapier integration expanding your range of features. According to the Aberdeen Group research, 58% of best in class marketing organizations currently use a marketing automation platform. If you team your choice of marketing automation system with Zapier, you can integrate it into your existing systems and modes of operation. Hooking your platform up to Process Street allows you to document your workflows and processes, making sure that your outreach efforts to potential customers are optimized, automated, and effective. Which platform will you choose? Which platforms have you used and would recommend to others? Let us know in the comments and we may follow up with you to find out more! I’m surprised Drip.co didnt get a mention here as better/cheaper than Infusionsoft/Active Campaign. I had hoped there would be a few cheaper options. Thanks for the article! I have not seen Campaign Monitor tool. It’s not in top? I have GetResponse and I’m very happy with it. I like their marketing automation and landing pages. I have just written up a list of 5 marketing automation tools we use …before rediscovering your article. Not a single one made your list, except Buffer which only had an “Honorable mention”! As the owner of a small digital marketing organisation, I can personally vouch for several of these companies and their ability to deliver results. I’ve spent a lot of time trying and testing various software to ensure that my company is always up to date with the best and most effective pieces of technology. As such, I’ve used at one point or another, nearly all the companies listed here, and continue to use a couple of them on a regular basis. However although I agree with the vast majority of this article, I would probably add another CRM software to the list, and that would be a piece of software from Clarity, which I’ve found incredibly useful in organising my clients’ details. Here’s a link to their page if anyone is interested : Clarity Software Link . Great write up! You’ve covered the finest email marketing service providers across the web. Well, I believe the cost is something which is very significant for opting any email marketing tool. I have been using email marketing for quite some time, so I am quite familiar with few of the cheapest email sending companies like MailGet ( https://www.formget.com/mailget-bolt/ ), Easysendy Pro, GraphicMail, MailerLite. Also, they offer numerous traits for emailing. Anyways nice article to read. I would like to share more information on the marketing automation software market. How the market will stand in 2025. Perhaps one more you may be interested in is https://www.womplify.com which along with all the usual marketing automation features, is also programmable. This means you can run your own custom code within Womplify to connect/integrate with any other app or your own systems, combine all your lead activity and data and automate actions based on that pooled data. With a few lines of simple code you can do pretty much anything you want with it. Informative article! I use http://remail.io/ and can’t recommend it more highly. Remail has improved the efficiency of my team. There are other services that provide the same and I suggest you try them and see what works better for you but for us, remail is definitely the best one. Great post, great analysis! We are integrating our ecommerce site with ContactPigeon these days ( https://contactpigeon.com ). Mailchimp has a really bad woocommerce integration and we heard lots of great stuff about ContactPigeon’s product & support team. I had a skypecall with their team and they were really helpful and to-the-point so we are moving on with them. Those are some good points in ContactPigeon’s favour. I have found Mailchimp’s support process to be less than ideal at times, so working with a company whose support and product team you trust sounds like a good idea! Automation is a surefire way for small businesses to save time and money, and marketing is the perfect arena for doing so: Marketing automation maintains brand messaging while reaching thousands of more people than a single person ever could. The key is simply determining which platform fits your company best so you can save even more time while building your bottom line. Great round up, it’s interesting to see a range of tools here, some approaching automation from an email automation perspective such as ActiveCampaign, some from a messaging perspective like Intercom. I’d like to throw another option into the mix that has email automation but also includes landing pages, web forms (multi-step) and overlays. (As well as live chat and lead messaging). It’s called Jumplead https://jumplead.com/ and pricing starts at $49 per month. Great article with useful tools mentioned. I think mentioning the email list cleaning tools alongside email marketing tools can make this list more valuable and highly significant for the users. The fate of email marketing does depend upon the quality of mailing accounts. https://bulkemailverification.com/ has enlisted leading email verifiers by their performances which can make email marketing more fruitful. To sum up- we are a marketing automation platform which can be an alternative to bigger and more expensive systems like Intercom or Hubspot. I think that a lot of businesses are going to get left behind when their competitors automate better than they do: similar to how many manufacturers went out of business when they failed to automate. An up and coming marketing automation platform that you might want to add to the list is ActiveDEMAND. We’ve got a surprising amount of features and the price is super affordable compared with some of the other platforms out there that also don’t have monthly contract options.